Ready to dive in? For any price over $1, you get the Python for Beginners and Ruby for Beginners courses, and you just have to beat the average price to unlock all eight courses! Plus, 10% of your purchase will be donated to the charity of your choice: choose from Child’s Play, World Wildlife Fund or Creative Commons. 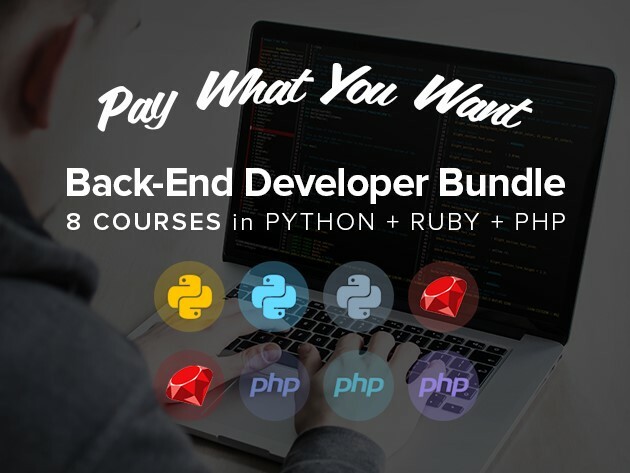 Name your price and make your way through the Back-End Developer Bundle today.